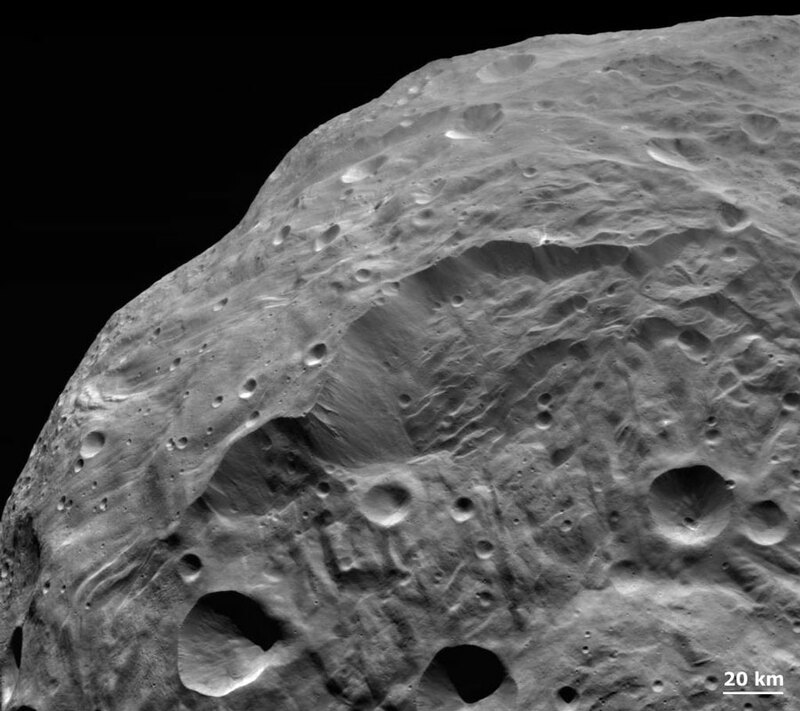 Explanation: Asteroid Vesta is home to some of the most impressive cliffs in the Solar System. Pictured above near the image center is a very deep cliff running about 20 kilometers from top to bottom. The image was taken by the robotic Dawn spacecraft that began orbiting the 500-kilometer space rock earlier this year. The topography of the scarp and its surroundings indicates that huge landslides may have occurred down this slope. The scarp's origin remains unknown, but parts of the cliff face itself must be quite old as several craters have appeared in it since it was created. 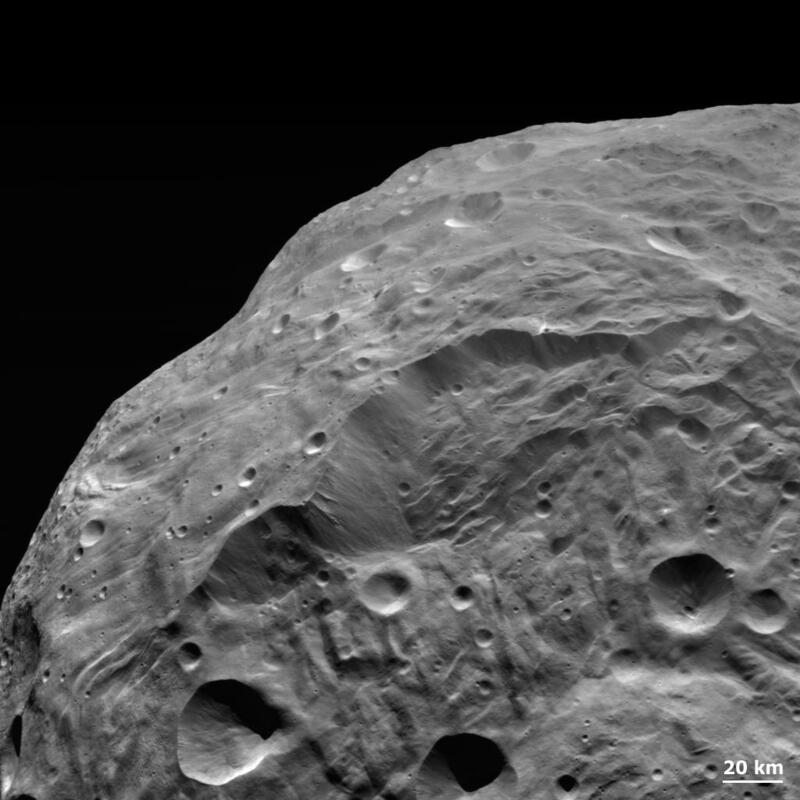 Dawn has now finished up its high altitude mapping survey and will spiral down to a lower altitude orbit to better explore the asteroid's gravitational field. During 2012, Dawn is scheduled to blast away from Vesta and begin a long journey to the only asteroid belt object known to be larger: Ceres.